Today is the official release of the March Stamps of the Month kit and several additional stamp sets. 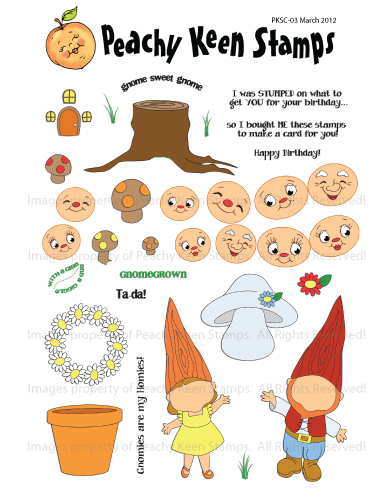 Yesterday I featured the SOTM stamps and the Peachy Picks paper kit in my project. 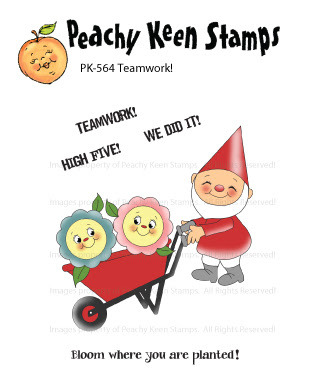 Today, I'm using the PK-564 Teamwork! 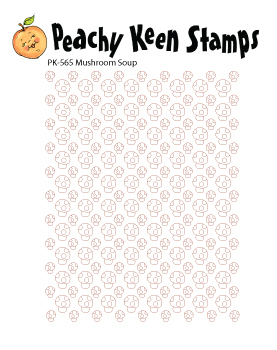 stamp set and PK-565 Mushroom Soup background stamp. 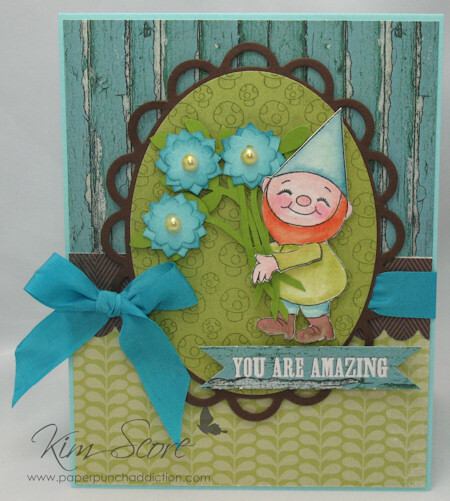 I also used the card stocks, designer papers and greeting punch out from the Peachy Picks March kit. 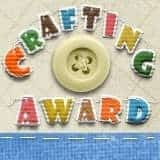 Did you love all of the wonderful paper crafting products I used on my PKS projects this week? 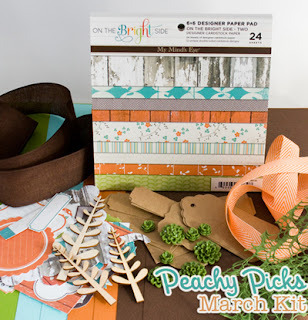 All of the card stocks, designer papers and embellishments are from the Peachy Picks March 2012 kit. This kit club is only $24.95 a month. Membership is a 6 month commitment. Each month, a new kit will be shipped to you. 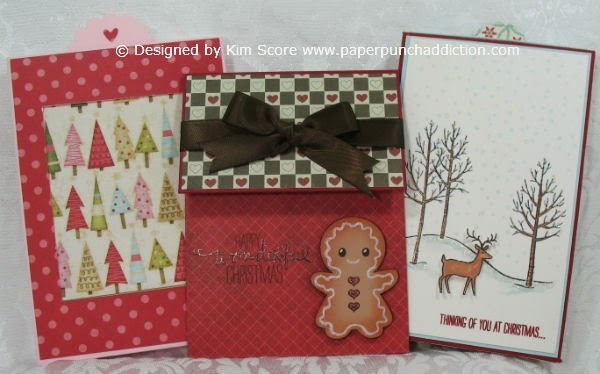 It will include coordinating card stocks, designer papers and embellishments. 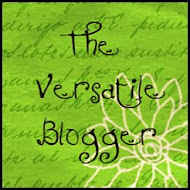 Want a chance to win some Peachy Keen goodies? 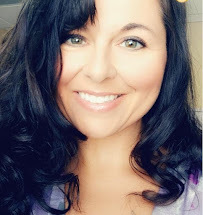 Enter the challenges over at the PK Connection. Winners will be drawn on Monday. I like the card and the colors you use on it. That it just bright up your day. Thank you for sharing.